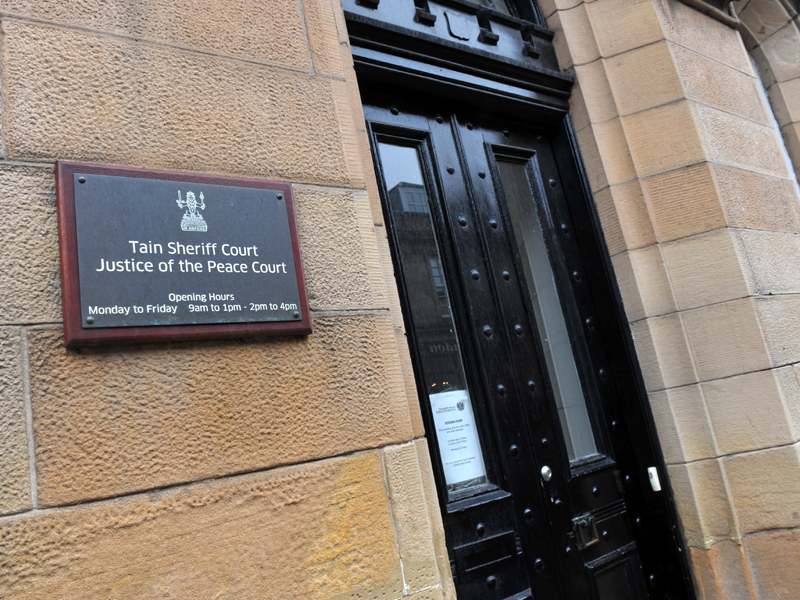 A woman was fined £100 at Tain Sheriff Court after her dog attacked a postman outside her home in Invergordon. Amanda Bain, 40, of 4 Ord Terrace, is also the subject of a 12-month court order to keep her dog under control. She admitted a charge of allowing her dog to become “dangerously out of control” on January 18 this year. The court heard that Bain’s mongrel bit Alexander Vass on the wrist – leaving the postman in need of hospital treatment for lacerations and puncture wounds to his wrist. Fiscal depute Stewart Maciver told the court that Mr Vass had been in the garden of the house to deliver post to the home. Mr Maciver said that the dog had been behaving in a “somewhat boisterous” manner, and had gone into the garden when Bain opened the door to accept her mail. The fiscal added: “The dog was snarling and jumped up towards the complainer and he was bitten on the wrist. Mr Maciver added that Bain had been spoken to by police after the incident and told the officers “she blamed herself and not the dog”. Sheriff Noel McPartlin heard that Bain had owned the dog for more than 10 years – and both owner and pet had had no previous problems with the law. The court also heard that Bain had changed the lay out of her garden to keep the dog away from any visitors to the house.